Snapchat is one app where you need to have an edge over the others, in order to gain advantage of engaging users. You must have something new to say or convey, else it would be just another stereotype that has been watched a million times. To share a fresh story, Snapchat is the best tool. All you have to do is to share a story about your brand which is unique and original in nature, something different from the rest. Snapchat allows you to add a creative stroke to your story, provided you know what you want to represent to the viewers. 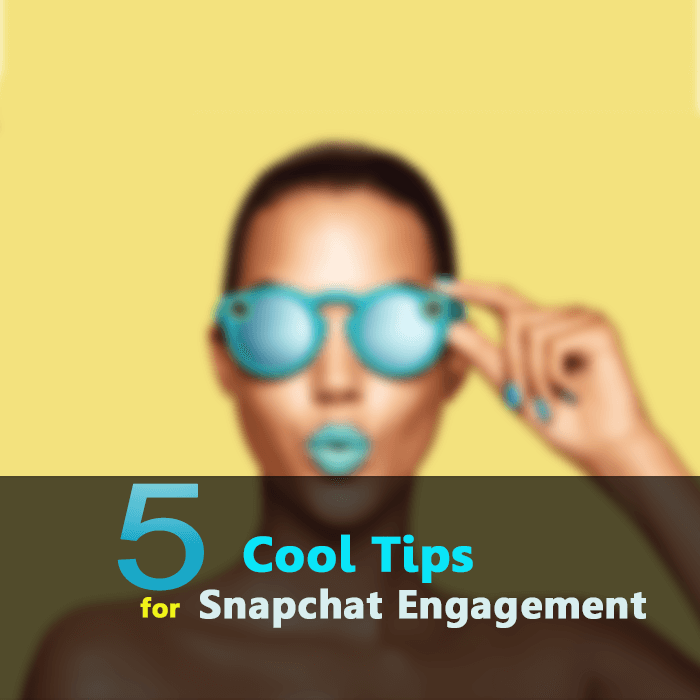 Viewing a Snapchat story is easy, hence your story should be engrossing and less time-consuming. Use appropriate additions to your story like adding filters and emojis. Open up your creative dimensions and start exploring the fast pace world of Snapchat that should amaze and leave the audience awe struck. The crux of the content might be the same but the projection should differ with each story, that’s how Snapchat should be used ideally. Give importance to your message, not your brand as it would work efficiently in your favor involuntarily. There are so many influencers, that you might not be able to understand, which one would be apt for your brand to represent. They might be famous celebs or sports personalities but that doesn’t mean they are using the app in the best possible manner. Your purpose is to engage more viewers to your stories that can be done by knowing those who are aware of know-hoes of Snapchat and have been able to pull off a huge number of followers through their creative streak. The criterion to judge them is simple, stories mist have some substance so that anyone feels like associating with them and making their brand noticed as well. Videos and images on Snapchat can be played and replayed for 24 hours from the time they have been posted. Now this is a feature one should take complete advantage of, especially to drive more engagement. As per the recent update, anyone can reply to a particular image or video and even has a new chat option to click, which basically implies that the marketers have a vast scope of getting response from the viewers. Now, this can make a huge difference I terms of receiving feedback, a feature unlike any other platform Snapchat stories can engage large audience. GhostCodes is an app that enables you to find people of similar interest without having any previous connections on different platforms. This can help you grow your followers more rapidly. It works like a phonebook for the Snapchat contacts. All you got to do is to register on the app and upload your Snapcode, allowing others to add you. The app also allows you to follow Snapchat users depending upon the areas of interest, which can be selected from various categories.